BOSTON- The Hamilton Company has acquired a newly redeveloped shopping center in Malden known as "Plaza 188" at 144-196 Commercial Street. 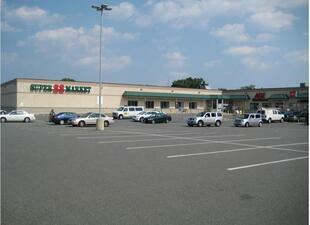 The 71,000 square foot shopping center is 100% occupied and anchored by a very successful Super 88 grocery store. Redeveloped by Commercial Street Venture LLC, this property was acquired with financing by Robert Brown of Brookline Bank. Tenants serving the local area include Ace Hardware, Brookline Bank, General Services Administration, Dunkin Donuts, and a state-of-the-art laundry facility, to name a few. "We are proud to increase our ownership stake in Malden," stated Carl Valeri, President and COO of The Hamilton Company, which also owns Adams Plaza on Rt 60. "Just 4 years old, the shopping center is fully operational, leased and stable. The current tenants are benefiting from a strong neighborhood demographic." According to Valeri, the property underwent entire interior and exterior upgrades during the previous ownership and was built with longevity in mind. "Plaza 188" was a wonderful value for both the Buyer and the Seller, says David N. Ross who along with Trey Agnew, Scott Dragos and Doug Jacoby of NAI Hunneman, brokered the transaction for the seller. Sally Michael, Esq of Saul Ewing represented Hamilton in the transfer.